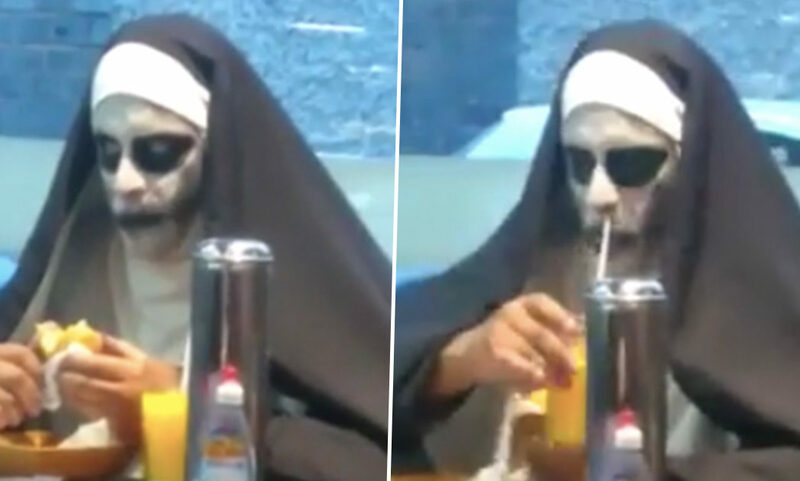 Some people really would do anything for attention, including dressing up as a scary nun at a restaurant. While Roberto Da Matta Filgueiras from Muriaé, Brazil, was enjoying a meal at his local diner earlier this month, he spotted a nun sitting at a table nearby. Dressed in traditional nun attire, the person dressed up had painted their face a ghostly white, completing the scary look by coating their lips and eyes with heavy black make-up. Honestly, it’s so cliche it’s beyond boring. Where are people’s imaginations these days? 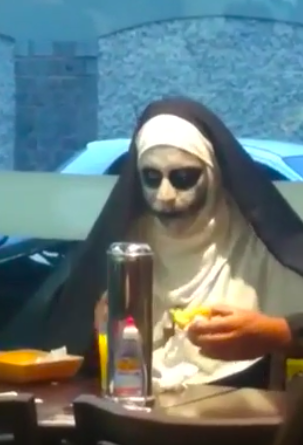 Just making the whole situation even more lame, the nun was clearly attempting to terrify restaurant goers by intensely staring at them while munching on a burger. However, none of them seem too interested in this halloween-come-early act. Can’t say I blame them! When Robert posted the video on his Facebook page, it quickly went viral, receiving an astonishing 14 million views and 222,000 shares at time of writing (September 16). This is especially impressive because Robert only shared the video four days ago! 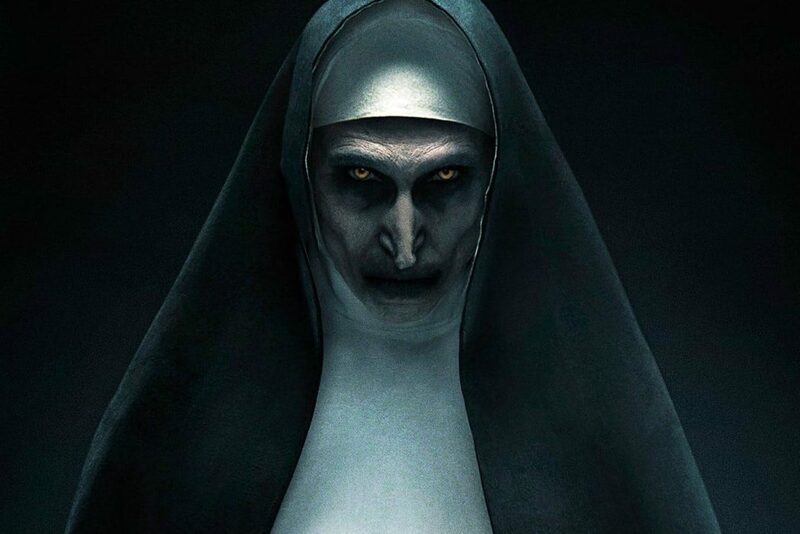 So while it didn’t exactly go the way the person probably expected, the nun ended up getting what they wanted in the end – being noticed by the world. Never known someone crave so much attention – other than my cat! Plenty of people have actually been dressing up as scary nuns recently to play pranks on others, inspired by the release of Warner Bros. film, The Nun. The latest film in The Conjuring Universe follows a Roman Catholic priest and a nun in her novitiate as they investigate a death in Romania. Unfortunately for the pair, their investigation takes a turn for the worse, as they uncover a holy secret which means they must confront an evil force. 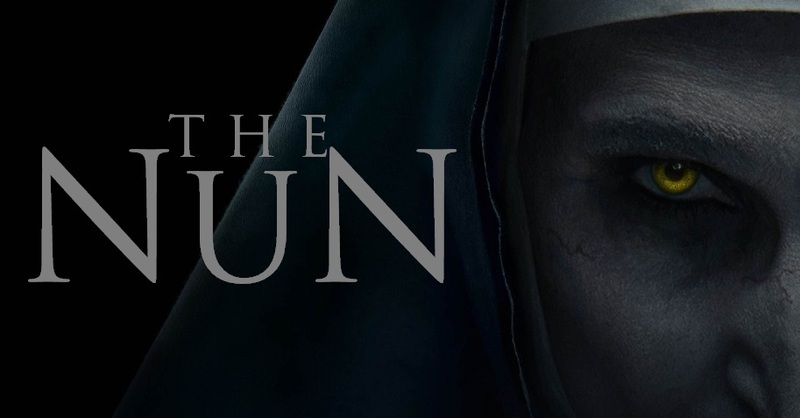 Unfortunately for The Nun, while it was a commercial success, it did nun-thing for critics, receiving appalling reviews. This tedious prequel follows a team of clerics to Romania, where they unexpectedly encounter every cliche in the book. There isn’t a genuinely frightening or interesting moment here. This is a film abjectly reliant on cliched soundtrack stabs and earthbound jump-scares. 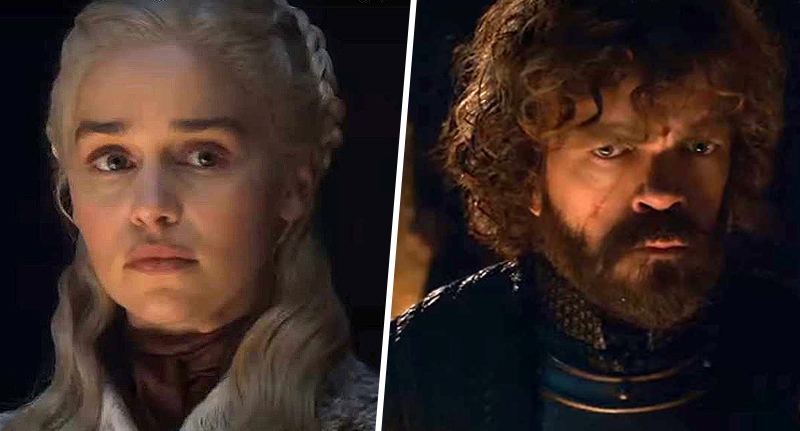 But although the violence is the most graphic of all the movies in the franchise so far, there’s nothing in this film that’s nearly as suspenseful as the horror sequences in The Conjuring, or even in its sequel. If you lose your breath during this movie, it’ll probably be from laughter. The Nun is out in UK and US cinemas now.